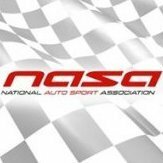 2019 NASA Championships Registration Opens TODAY! Registration will open at 12 PM PST. Follow the link below! I registered for the premium parking in the lower paddock and then realized i have no idea where that is or what is included. do you have a track map? We are finalizing the parking map and will have it uploaded in the next couple of weeks. Those spaces are located just behind the "middle" garages and just to the left of grid. Very central, close to concessions, bathrooms, etc. So is that the lot closest to pit lane? Is there power? I’m not familiar with Mid O. Got some info and it looks like that parking lot may be more than i need (unless it has power, does it?). Marie can i switch to the same size in the middle/upper lot? I have no turning radius FYI. Sorry for the delayed response! There will not be power available. I can cancel the parking in the lower paddock ($499) and re register you for an 80x30 in the middle/upper paddock ($249). Is that what you would like to do? sent you a pm so we dont annoy everyone...any more.